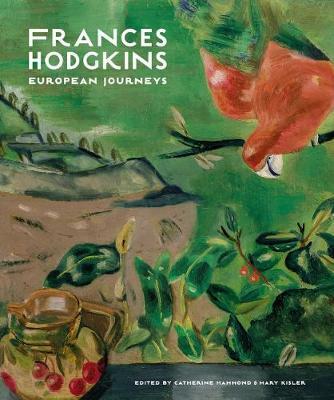 New Zealand-born Frances Hodgkins (1869-1947) arrived in London in 1901 and, by the 1920s, had become a leading British modernist, exhibiting frequently with avant-garde artists such as Ben Nicholson, Barbara Hepworth and Henry Moore. Published to coincide with a touring exhibition of her work initiated by Auckland Art Gallery Toi o Tamaki, this book explores Hodgkins as a traveller across cultures and landscapes - teaching and discovering the cubists in Paris, absorbing the landscape and light of Ibiza and Morocco, and exhibiting with the progressive Seven & Five Society in London. Complete with a rich visual chronology of the artist's encounters abroad, alongside over one hundred of Hodgkins' key paintings and drawings, the book is an illuminating journey that moves us from place to place through the writings of a number of distinguished national and international art historians, curators and critics: Frances Spalding (University of Cambridge, England), Alexa Johnston (Auckland-based writer and curator), Elena Taylor (University of New South Wales, Australia), Antoni Ribas Tur (Ara newspaper, Spain), and Julia Waite, Sarah Hillary, Mary Kisler and Catherine Hammond (Auckland Art Gallery Toi o Tamaki, New Zealand). Catherine Hammond is the research library manager at Auckland Art Gallery Toi o Tamaki and managing editor of Reading Room: A Journal of Art and Culture. She has contributed essays to Auckland Art Gallery catalogues Modern Paints Aotearoa (2014) and Frances Hodgkins: Forgotten Still Life (2015). Recent book projects for the Gallery include Lisa Reihana's In Pursuit of Venus (2015) and Emissaries (2017), and John Nixon: Abstraction (2018). Mary Kisler is the senior curator of the Mackelvie Collection, International Art at Auckland Art Gallery Toi o Tamaki, responsible for a collection ranging from the thirteenth to the mid-twentieth centuries. She is the author of a number of books and exhibition catalogues including Everyday Miracles: The Art of Stanley Spencer with Justin Paton (Dunedin Public Art Gallery, 2003), Frances Hodgkins: Leitmotif (Auckland Art Gallery Toi o Tamaki, 2005) and Angels and Aristocrats: Early European Art in New Zealand Public Collections (Random House New Zealand, 2010).